The fallout still continues from what is quickly becoming one of the most controversial topics of the fight game so far in 2018. Comparing fighters of the past with those of today is often a futile exercise. Something that perhaps should never be done really, but alas, it happens. Fans drive these debates more often than not but every once in a while a modern fighter will take this step all by himself. 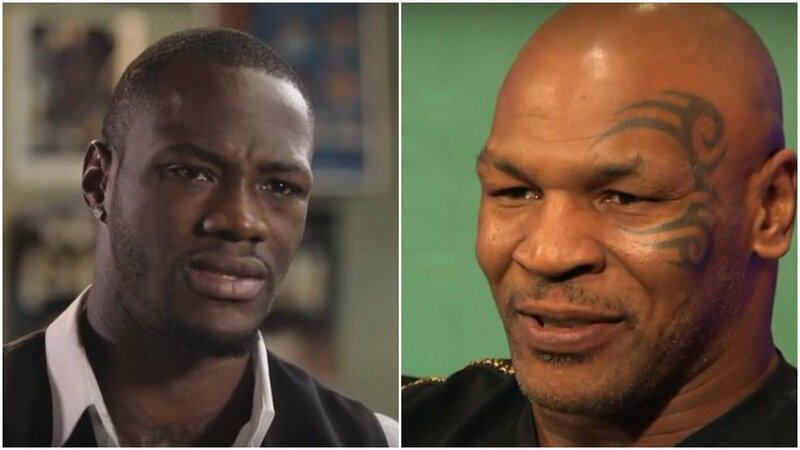 Current WBC heavyweight champion Deontay Wilder has recently told the media that he believes he fought a prime Mike Tyson (the 1986 version of “Iron” Mike) that he would have beaten him. This has gone down like a sack of spuds, as you can imagine. Surely Wilder was misquoted. He hasn’t got any of the skills required to beat any of the top 10 HWs from Tyson’s era, let alone a prime Tyson. If windmill arms did say this quote, they need to check him for drugs! He must have been high to utter that nonsense. Not a chance! Wild punches, wild ideas, wildly wrong! That Giraffe WILDER didn’t fight anyone yet ! Funny guy! !